This article was originally published on the Weekend Notes website // View the original article here or the PR capture here. 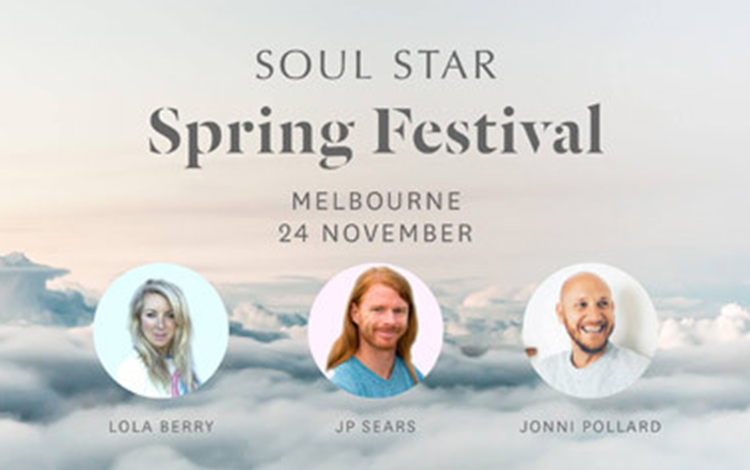 Soul Star Spring Festival, an evening focused on spiritual and physical health and wellness, takes place at Laurens Hall, 183 Laurens Street, North Melbourne on Thursday 24th November. The Festival features three guest speakers, including international YouTube sensation, emotional healing coach and comedian, JP Sears; nutritionist, author, TV personality, yoga teacher, crystal lover and ‘Happy Place’ founder, Lola Berry, and internationally recognised meditation teacher and co-founder of the meditation app 1Giant Mind, Jonni Pollard. Click here to read more about the key speakers.